Coffee memes are trending on Russian social media about Russian Prime Minister Dmitry Medvedev suggested renaming Americano coffee to "Russiano." 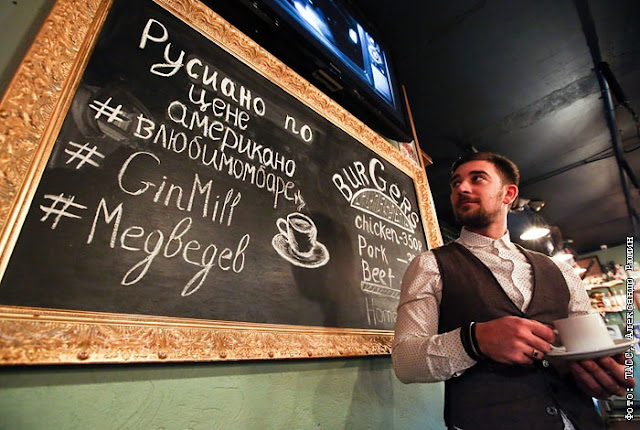 Medvedev did not make the recommendation, but Russiano has already appeared in Moscow's cafes. Over the past few days, Russian Prime Minister Dmitry Medvedev unwittingly inspired a new trend for jokes about politically incorrect coffee. The incident occurred on Nov. 16 during a session of the Eurasian Intergovernmental Council. At one point, one of the delegates said "Eastern coffee helps." Medvedev replied that he had not recently had Eastern coffee. "I said, 'Give me an Americano.' But this is not politically correct. Let's rename the Americano," the prime minister suggested jokingly. Then an Armenian delegate immediately proposed "Russiano." Soon it was clear that Medvedev had nothing to do with "Russiano," but people's creative minds were already in full swing. Jokes about "the Prime Minister's coffee" started trending on social media, and media outlets began circulating reports about it. People began suggesting alternative names similar to "Russiano." "Considering the meaninglessness of existence and the gravity of the current moment, I suggest renaming the espresso 'depresso,' said Dmitry Medvedev and began crying," wrote @brooklynoir on Twitter. "And cappuccino should be Kupchino (a neighborhood in St. Petersburg); I was born there, added the Prime Minister," @OraclePigFuntik posted. "Renaming the American coffee 'Russiano' is a great idea. It would also be good to take Medvedev's iPhone and replace it with a YotaPhone,"proposed blogger Dyadyushka Shu, remembering Russia's first smartphone. The YotaPhone's design resembled the Apple device, and was presented to Medvedev with pomp and circumstance in 2013. However, the prime minister never began using the domestic product, and still uses an iPhone. Some people even tried to imagine how a Russiano would fit into a typical Russian breakfast. "In the morning, I drank a Russiano, ate some turnips, put on my felt boots, fed the bear, turned on the tank and went to work at the nuclear power plant for the glory of the motherland." And if you were to offer a Russiano, it should sound something like: "Officers, a Russiano!" Pyotr Kuznetsov wrote. Sergei Smirnov, editor-in-chief of Mediazone, thought the joke was intentional, linking it to Medvedev's desire to break up the negative news circulating that moment. A day earlier, Minister of Economic Development Alexei Ulyukayevwas first detained and then arrested. "Medvedev should be given credit. He did a good job inventing Russiano. It's better to be associated with this now than with Ulyukayev's arrest," said Smirnov. "In response to the arrest of his minister for a $2 million bribe, Medvedev suggested renaming the American coffee Russiano. Great," wrote@YraSunrise. "Otto von Bismarck: 'Do not let the Russians rename Americano - this step will lead to the great Russian renaissance," jokes the Stalin parody account. 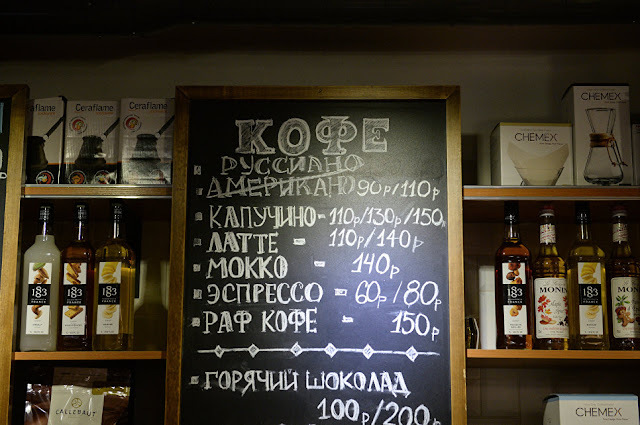 Coffee shops in the capital city and the Moscow Region had a swift reaction. Taking the Russiano affair seriously, on that same day they added Russiano to their menus. "You can try the Americano, Russiano, cappuccino, rusiccino, the Russian lavender raf and other types of coffee at our studio cafes! We support Dmitry Anatolievich's idea," the owners of the Yulia Vysotskaya culinary studio posted on Instagram. However, the cafes do not list the ingredients of the Russiano. Internet users have their own theories for how the Americano will be remade in Russian style, and how it will be served. One of the most popular Russiano recipes consists of "250 grams of vodka; this is when there is more water but without milk and coffee; Russiano is coffee with vodka and will be served on a shovel." "I drank a Russo Espresso in one bar. It consisted of coffee, liqueur and a lot of rum. Medvedev's Russiano is from the same cafe, I guess," wrote@shaggy_bruin. Meanwhile, @zhgun even created an illustration for the recipe: a man resembling the Russian prime minister is mixing vodka with the depresso (the renamed espresso) to Renato Carosone's song " Tu Vuo' Fa' L'Americano."